One of the largest of the Millipedes these guys come from Western Africa. They love to live in a moist substrate full of lovely rotting leaves and bark. They will sometimes bury down under the soil. 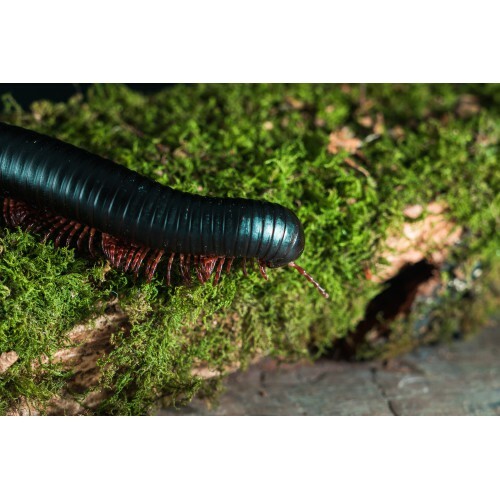 Growing to a fabulous 11 inches they are one of the most striking Millipedes to have and as with the Red legged species these also very docile and calm. The down side is that they do like to poo on you.